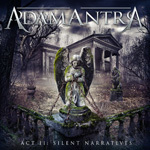 Entering the progressive metal fray once more is Finland's Adamantra with their second album Act II - Silent Narratives. The band decided to big at the start, unleashing an 18 minute epic, Lionheart, upon your ears. Surprisingly, it keeps your interest with shifting tempos and signatures, and a bevy of solos from guitar, bass, and keyboards. It might be the most 'prog' song here. 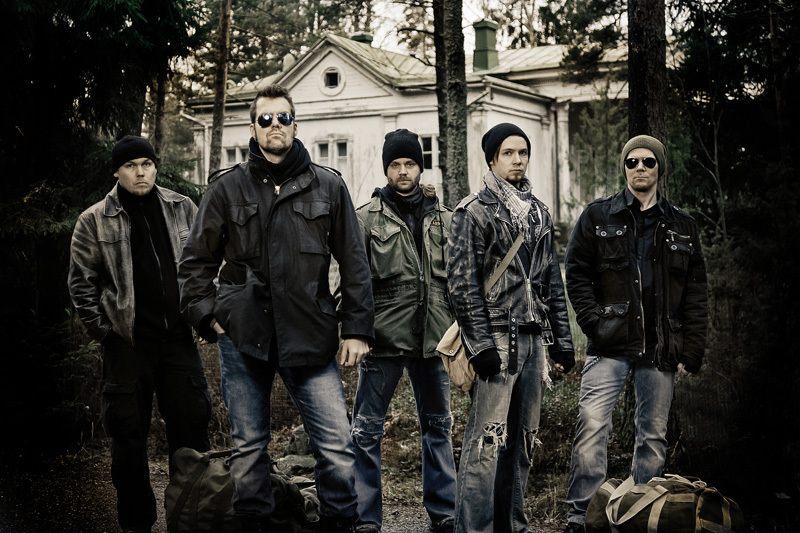 Adamantra: on a cold Finnish day. In contrast, songs like Three and The Oracle are quite heavy numbers with thick, blistering, riffs and intense drums in parts, and vocalist coming across quite coarse at times. Alternatively, Wicked Chain of Events and In The Shadow of the Cross lean more to the power metal side of things, combining speed with the heaviness. The latter song has a notable and audible bass solo in the latter third of the album. But this merely shows one of the strengths of Adamantra: allowing the individual musicians to flex their muscles. Sometimes it's in tandem as with the guitar and keyboards within the second half of Circle of Sorrow. Adamantra does tone things down ever so slightly with Angel of Music, using both acoustic and more notable symphonic elements. The album rounds out with something similar to the start: On Ember Remains offers more varied and versatile progressive metal with, in the case, the synths and drums taking a greater role. While listening, Adamantra reminded me of a blend of Dream Theater and Shadow Gallery, and spiced with a bit of Symphony X heaviness. If you like any of those bands, then Adamantra is definitely worth your time and interest. Recommended. 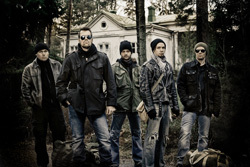 Adamantra offers progressive power metal that's melodic, versatile, and heavy at times, but allowing it's individual members flex and display their talents.